How do brands sustain growth? An expert says innovation and strategic marketing are two key factors for success. A new product is launched every two hours in the Philippines. If consumers are saturated with that much choices every day, how do brands compete? This is what the “INNOVNATION: The New and The Now” study conducted by Kantar Worldpanel, a global think tank on shoppers’ behavior dared to answer. “Brands will have to spend year-after-year on product launches and advertising just to sustain growth in the market… Today, it's still feasible especially for local giants to shine and be a brand of reference for their consumers. 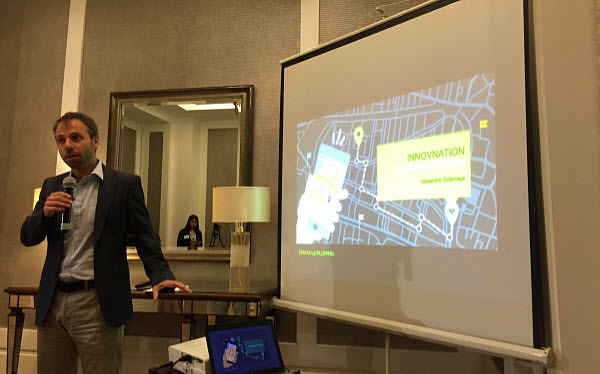 In the next 10 years, they can be the established product choice of the market,” Kantar Worldpanel Philippines’ General Manager Alexandre Duterrage told the press on Wednesday, April 20. So how do brands sustain success? The shopping behavior expert gave five pointers. First things first: “Getting your product on the hands of the consumers is most important. The repurchase rate will take care of itself,” Duterrage said. The number of people who purchase a particular product are the same on a monthly basis, which meant a brand may have a loyal following or it gained new consumers over the same period of time. Thus, aggressive marketing is key. “There’s a tale of two countries in the Philippines: life in NCR (National Capital Region) and the rest of the country. You cannot succeed by focusing in only one part of the story,” Duterrage said. Filling the needs of each consumer from every background must be a priority for the brand, which drives to the second point: being agile and fast. “Don't wait for a large launch to see whether you're going to be successful. Have micro launches and get feedback fast,” Duterrage added. A launch can be successful today, but the same hype has to be sustained for the rest of the month or year, thus, marketing to some niche markets one day at a time can be effective marketing. One way to sustain it is the third pointer: be online. “To have presence in the digital world is a very important influencer to a very influencing group of consumers, it may be small as of the moment but it still matters,” Duterrage said. Marketing plans need to consider the online platform today, or else, a disruptor can easily sway the audience you aim to attract. But all these cannot be implemented without a product to launch, thus the last pointer: keep innovating. “Look at what is internationally successful and do better. Take what works and adapt it to the local market,” Duterrage added. The Filipino market has become driven on innovations in the last few years, challenging brands to rethink their tactics, as from two major competitors, the playing field has widened in the entry of new brands from both local and foreign names. The Kantar study covered 2000 product launches from 2012 to 2014 across 58 fast-moving consumer goods (FMCG) categories in the country. It revealed the personal care or cosmetics category was the most dynamic among all, with 49% of its launches coming from introduction of new variants, or simply renovations: from change of logos, to size upgrades. This meant four out of 10 launches in the last three years fell under personal care, with the category experiencing a higher repurchase rate from consumers. 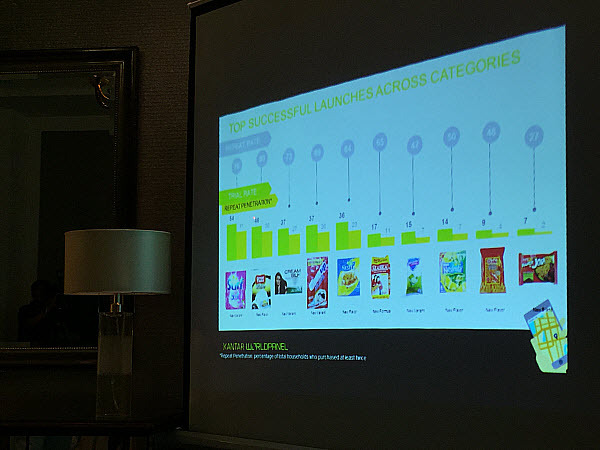 But the food category emerged to be the most innovative with 20% of its total launches coming from new brands. Coffee, teas, and other drinks also showed to be the easiest market to penetrate, translating to higher trial rate from the market. “There’s a strong correlation between a category’s growth and its number of product launches. If you are a manufacturer, you have to keep innovating to sustain growth. That’s why there’s an abundant number of product launches,” Duterrage added. But in a larger scale, the report showed out of 1000 Filipino households, only 2% of them will try a new product within a year, and only 25% of that number will repurchase it. This means, only 20 out of 1000 households will get their hands on a new product and only five of them will buy it again.